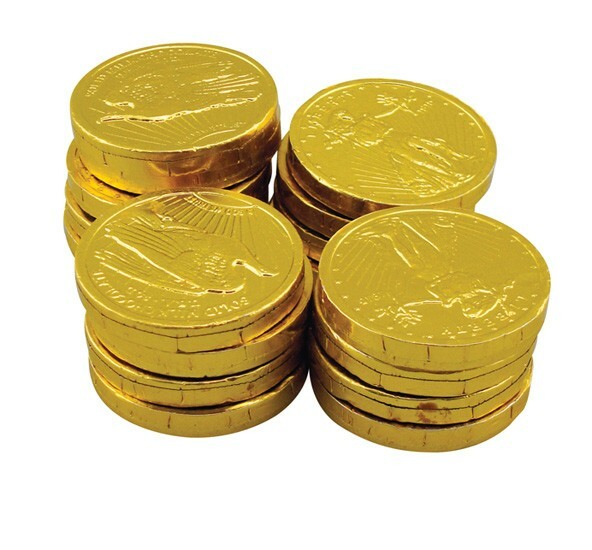 0.16 oz Milk chocolate candy foiled money coins in gold or silver foil.. Bulk packaged (about 100 coins/lb).Pricing per coin. Makes a great food gift or bank financial institution promotional giveaway. Custom Imprintable with a 1.2" round 4CP label attached to one side of the coin.. Available in gold or silver foil in milk chocolate only.